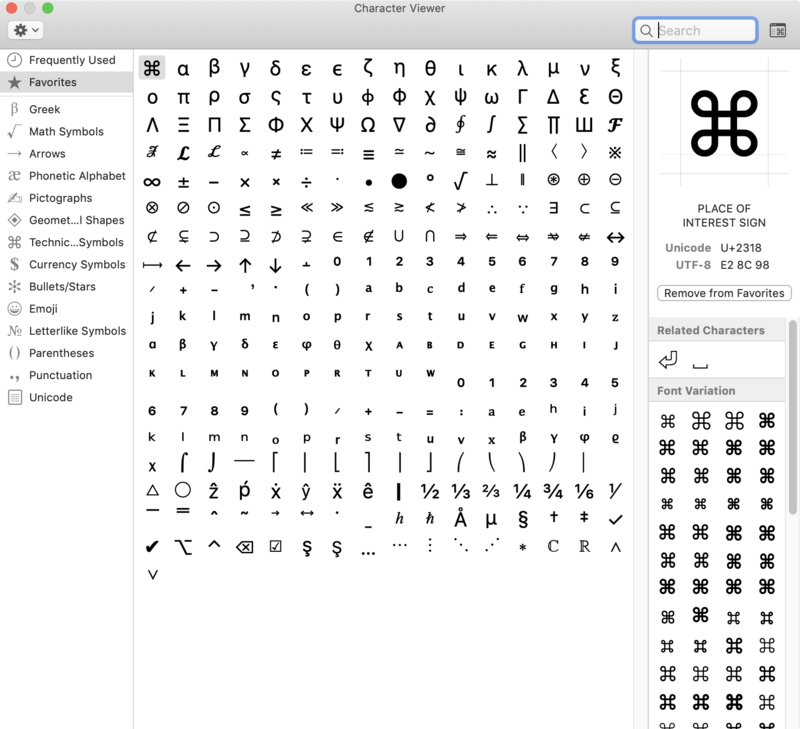 I would like to export the list of Favorites in Character Viewer (which can be launched by selecting "Show Emoji & Symbols" in the menu bar icon for the input source) and import it into a different Mac. Where is this list of Favorites stored? I am using macOS Mojave 10.14.2. You may have to restart to see it change. Not the answer you're looking for? Browse other questions tagged macos keyboard mojave character . How do I get the Unicode code of a character from the Character Viewer? What is the quickest and/or easiest way to infrequently type non-KeyLayout provided characters?